It was my first time in STKD Zeppelin and ang cool pala dito! It's actually a co-working space which the Sanuk team transformed into an event venue. Upon entry, I immediately absorbed the hip and chill vibe of the event and the whole place! 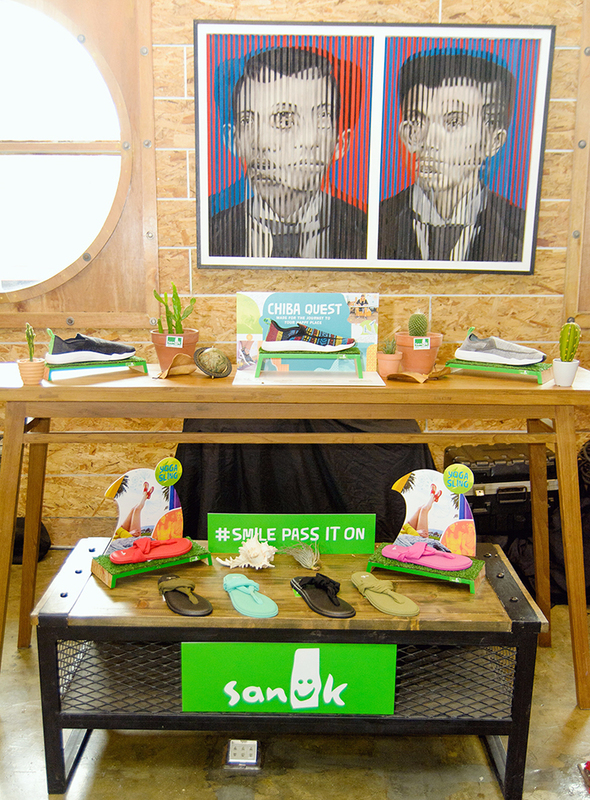 SANUK, a global lifestyle brand known for its unique footwear and hip style, has made its return to our shores! Everyone’s favorite sandal brand presents its Spring/Summer 2018 collection featuring the Chiba Quest Knit and Yoga Sling. The next generation Sidewalk Surfer, the Chiba Quest Knit gives you that weightless feel on your feet that’s made for the journey to your happy place. Perhaps the most comfortable sandals that you’ll ever wear, the Yoga Sling will cushion your every step during your daily walks and activities. 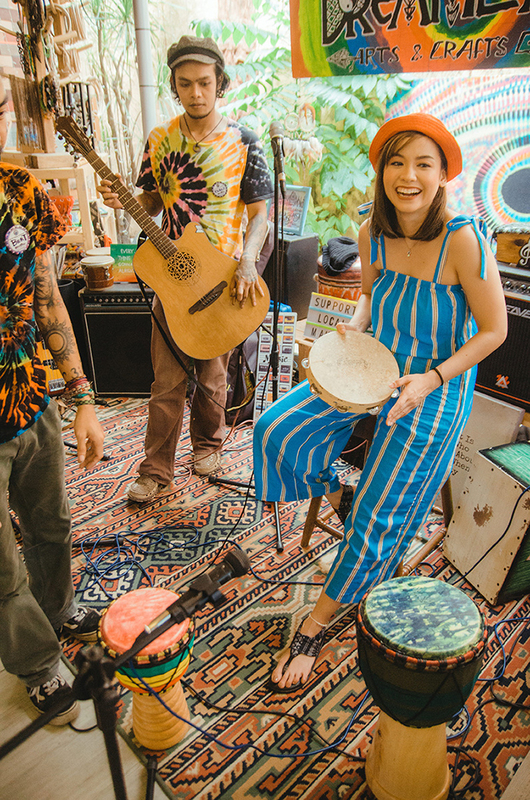 Together with Sanuk’s comeback to Manila, the brand launched their new marketing campaign #SmilePassItOn: Light Someone Else’s Life with the Power of Smile, which is a call to action to simply pass on your positive vibes to everyone with a smile. Smiling is one of the most contagious and delightful gestures one can make. Aside from the fact that it instantly makes us feel better, flashing a smile at someone can turn their whole day around. I agree!!! And that’s what Sanuk is all about. The brand’s thrust is to continue to stay true to its uncompromising and fun attitude. The campaign encourages everyone to post a video of themselves on Instagram sharing how they make people happy, then tag @SanukPH and include the hashtag #SmilePassItOn in the caption. 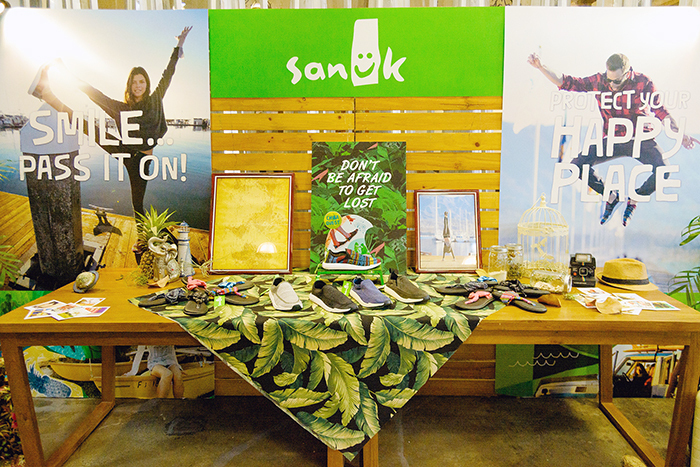 Weekly and monthly videos will be chosen and Sanuk products will be given as prizes. The winners will be announced via the @SanukPH Instagram and Facebook accounts. So join na guys!!! Delicious food was served during the event! Amazing set & performance by Glaiza De Castro! Love her voice! Benj is known for his role as Pinggoy in the primetime series "Ang Probinsyano" and as Tolits in the hit musical "Rak of Aegis". He’s also a professional dancer and was part of the hip-hop dance group Philippine All-Stars. I didn't know that he can dance! Wow! “The fulfilment I get from dancing is being free. Whenever I dance, I feel happy and whenever I perform in front of a crowd, I like seeing people smile. 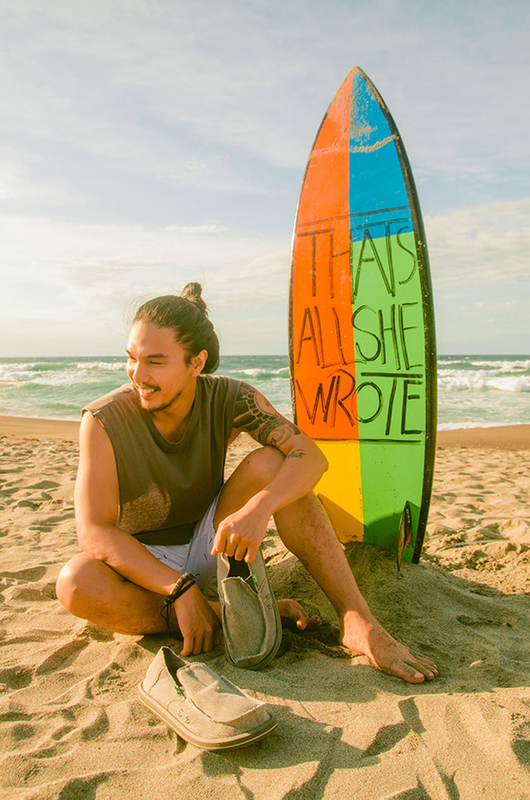 Hopefully, at least one, if not all my audience will be inspired with what I do,” shares Benj. Bea likes to make people smile with her quirky antics and just being her dorky self. “Sometimes just being happy yourself, helps other people be happy. I’m just here to share the sunshine,” says Bea. And this is why they’re the best fit for the #SmilePassItOn campaign! 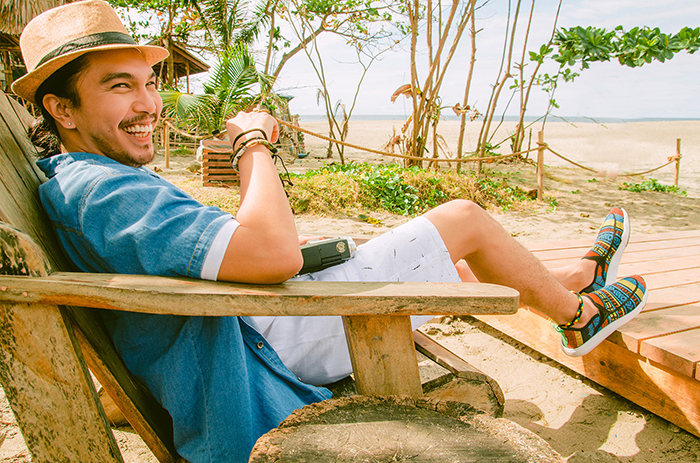 “I just love the comfort and style of Sanuk. 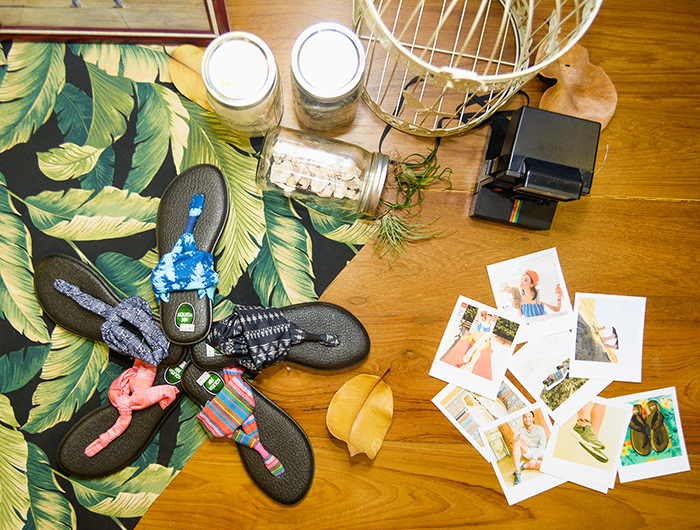 The footwear is not afraid of using vibrant colors and patterns. It’s not afraid have fun, like me, it suits my personality,” says Benj. “I like that it’s an easy, everyday kind of footwear. Very comfortable, not restricting, and really cute,” shares Bea. Mr. Toby Claudio with Glaiza, Bea & Benj! with my loves Ava, Ana, Louise, Colz and Paul!